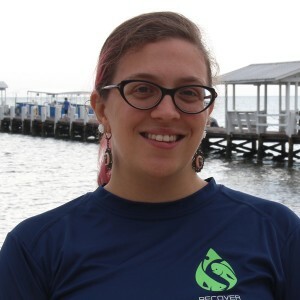 Madeline Muñoz-Bustamante is the Program and Data Manager for RECOVER at the University of Miami’s Rosenstiel School of Marine and Atmospheric Science. In her dual role, Madeline is responsible for managing the administrative and data needs for the consortium. She coordinates communications between the consortium members, plans all consortium-related events, handles purchasing for the University of Miami group, and other administrative functions. Madeline also makes sure the consortium is in compliance with its data management plan and ensures the consortium’s data is stored and shared properly. She brings over fifteen years of experience in event production and office management. Madeline is excited to be able to support the research being produced by RECOVER that is contributing to a better understanding of the impacts of oil spills in the Gulf of Mexico and how to help the ecological system best recover from such an impact.